Urki and Baraka are two prehistoric cavemen. They searched for the end of the world, but got lost deep in the Black Forest, where they found a huge Wild Boar. Together they went on an epic journey through time until they miraculously arrived in the modern age. An amazing adventure full of hilarious situations! This impressive walking act on stilts is fun and interactive. Wild Boar works specifically great among adolescents, but is nonetheless also very suitable for the younger and older public. Pop festivals, Street Theatre Festivals, Culinary Events, you name it. 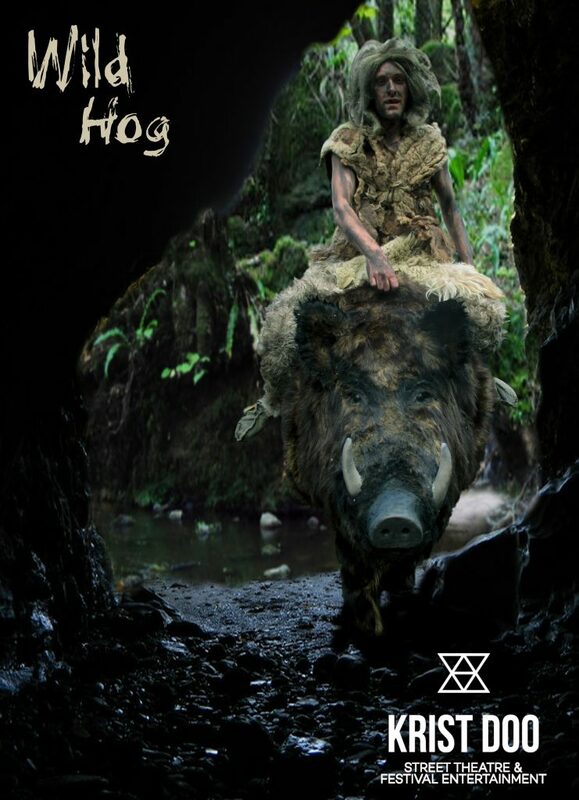 Wild Hog will do amazing in virtually every situation: The ultimate festival act!